GearBest sent us the ThiEYE i30+, a 4K camera at a budget price of about $50, but of course it’s not quite true. What’s really inside the camera you can read in this article. The alleged 4K resolution is one of those things. Firstly, the Sunplus chip used cannot achieve any native 4K, the value is only achieved by interpolation. And secondly, a frame rate of 10 fps is absolutely unsuitable for videos of any kind. 2,7K are possible with 20 fps. It is therefore likely that Full HD recordings will be used, although the frame rate of 30 fps is no longer appropriate here either. 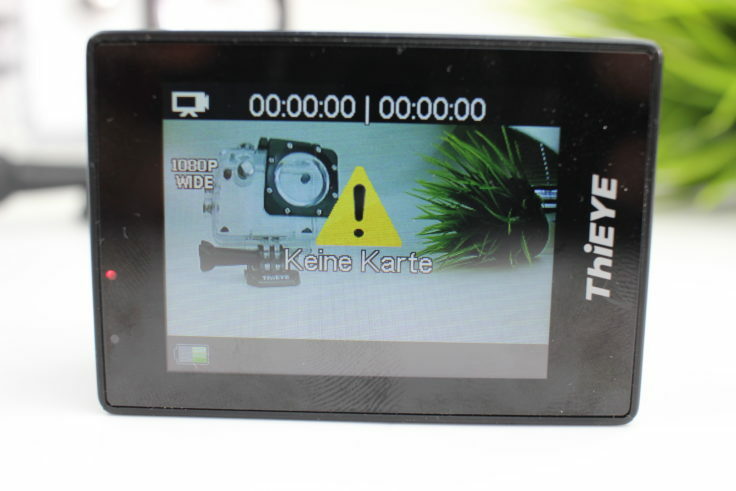 Overall, the ThiEYE i30+ looks more like a camera from 2015 than from 2017/18. Additional functions are of course photos, but also loop recordings and a time-lapse mode. A micro-USB connection is available for charging the camera with the included cable. Well, it only costs about $50. It can score a little bit with the accessories, although this has sometimes been more generous. There are some mounts and glue pads and an underwater case. It is said to be watertight to a depth of 60 metres. For example, the bracket for mounting on a rod such as the handlebar is missing. There is also a multilingual manual and both camera and battery are CE marked. The camera supports WLAN, so you can control it with your mobile phone. For recording, you also need an SD card (supported up to 32GB). Is the ThiEYE i30+ worth it? I think you don’t have to expect too much from the i30+. 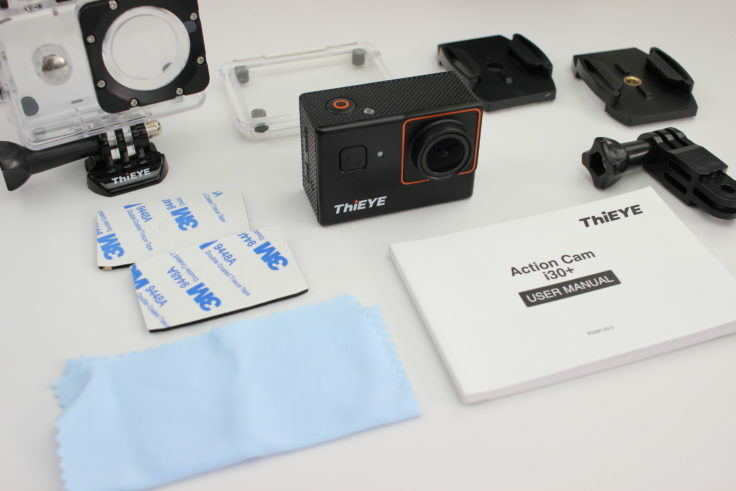 In ThiEYE’s range it is the action cam with the fewest functions (apart from the i30). I don’t even like the i30+ for $50 at first glance. The Yi Discovery with the Alwinner V3 doesn’t offer a usable 4K either, but still Full HD with 60 fps.